How to Win an Election is an ancient Roman guide for campaigning that is as up-to-date as tomorrow's headlines. 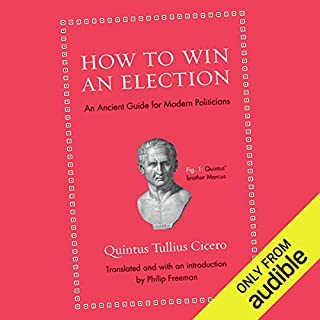 In 64 BC when idealist Marcus Cicero, Rome's greatest orator, ran for consul (the highest office in the Republic), his practical brother Quintus decided he needed some no-nonsense advice on running a successful campaign. If you could sum up How to Win an Election in three words, what would they be? What does Doug Kaye bring to the story that you wouldn’t experience if you just read the book? Nothing, but he did a fantastic job of narration. What American political tradition lacks. This should be standard in schools. Spinoza's brilliant metaphysical system was derived neither from reality nor experience. Starting from basic assumptions, with a series of geometric proofs he built a universe which was also God, one and the same thing, the classic example of pantheism. Although his system seems an oddity today, Spinoza's conclusions are deeply in accord with modern thought, from science (the holistic ethics of today's ecologists) to politics (the idea that the state exists to protect the individual). Yes, I would. This book was a great way to familiarize one-self with Spinoza quickly and efficiently. 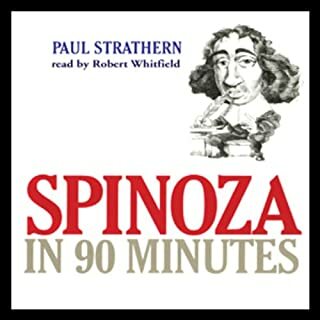 What other book might you compare Spinoza in 90 Minutes to and why? What does Robert Whitfield bring to the story that you wouldn’t experience if you just read the book? WTF? this question is unanswerable. If you could give Spinoza in 90 Minutes a new subtitle, what would it be? 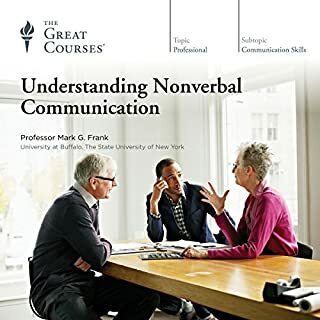 Again, great audio book, straight to the point and useful. 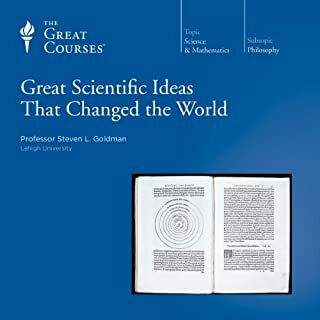 Would you consider the audio edition of Great Scientific Ideas That Changed the World to be better than the print version? WTF? I don't see how I can possibly answer this question. Glad to see that Amazon's outsourcing has produced irrelevant nonsense like this question. What about Professor Steven L. Goldman’s performance did you like? The great courses continue to be GREAT! The information was digestible and on mostly point. What other book might you compare Exploring Metaphysics to and why? I would not, its not a book, its a course. Cmon audible, get with the program here, you can not expect to ask these kinds of dumb questions. Stop outsourcing to India for this kind of thing. lol. 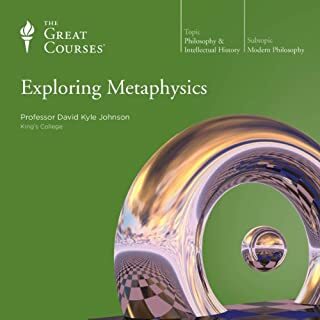 If you could give Exploring Metaphysics a new subtitle, what would it be? Professor Johnson was pleasant to listen to, but at times seemed perhaps confused by his own presentation, I suppose that is the nature of "metaphysics"... quite good though, overall. Where does 36 Big Ideas rank among all the audiobooks you’ve listened to so far? If you could give 36 Big Ideas a new subtitle, what would it be? 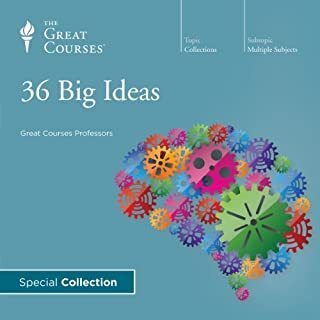 This is a collection of PARTIAL courses from various Professor's, so its a good "cheese sampler" but its missing the "main course" if you catch my drift. Still quite good indeed, but in no way is it an intellectual "four course meal". Good though, quite good indeed. In this fascinating 36-lecture exploration of scientific growth filled with ideas, anecdotes, and insights. 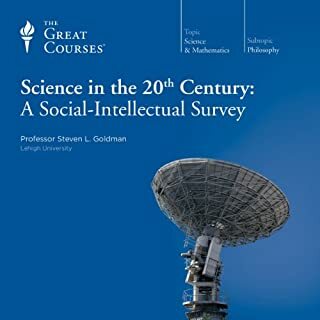 You'll see how 20th-century scientists have built on crucial 19th-century concepts such as energy, natural selection, atoms, fields, and waves to assemble a body of knowledge to stun even the most farsighted scientific thinkers of that not-too-distant past. Everything I expected and more, an excellent adventure into science with the reward of wisdom given to anyone who endures ans listens to the end.